Here’s a throwback that we just have to re-share with our readers. The Insane Clown Posse released a video for their song “Miracles” back in April of 2010, and pretty much have broken part of the Internet with it since then. Our team here at Freshtone has been quite literally rolling on the floor laughing today when this popped back on our radar, and we’ve just got to share the love. 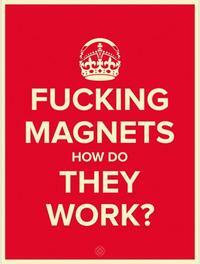 The song has led to a myriad of memes, with possibly the top one being the famous “F**ing Magnets, how do they work? !” The line in the song has led the Internet to proclaim itself in typical loud and proud fashion, including a permanent place in the “Know your Meme” site, reaching one of the pinnacles of modern cultural significance. Y’all motherf**ers lying, and getting me pissed. Of course, once scientists get challenged by large swearing clowns, they self-assemble to defend the faith. So a we have several famous scientists taking the chance to engage the public in a teaching moment, including some brazen nerds from San Fran who set up a teach-in at their hackerspace, with poster board science fair displays to help, um, visualize the explanations. 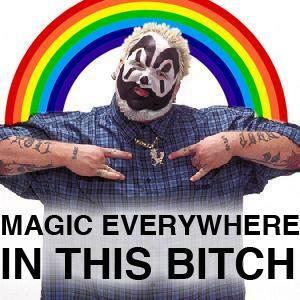 Gotta hand it to the Juggalos Army – these guys really know how to create some Internet magic! Spread some laughs and amazement today – share this out to your friends for a throwback laugh today.